This Henri Daussi 14k rose gold eternity band features a delicate line of channel set round brilliant diamonds totaling 0.20ct. The band measures 1mm wide. This Henri Daussi 14k rose gold eternity band features round brilliant bead set white diamonds totaling 0.23ct and rubies totaling 0.27ct with milgrain detail. 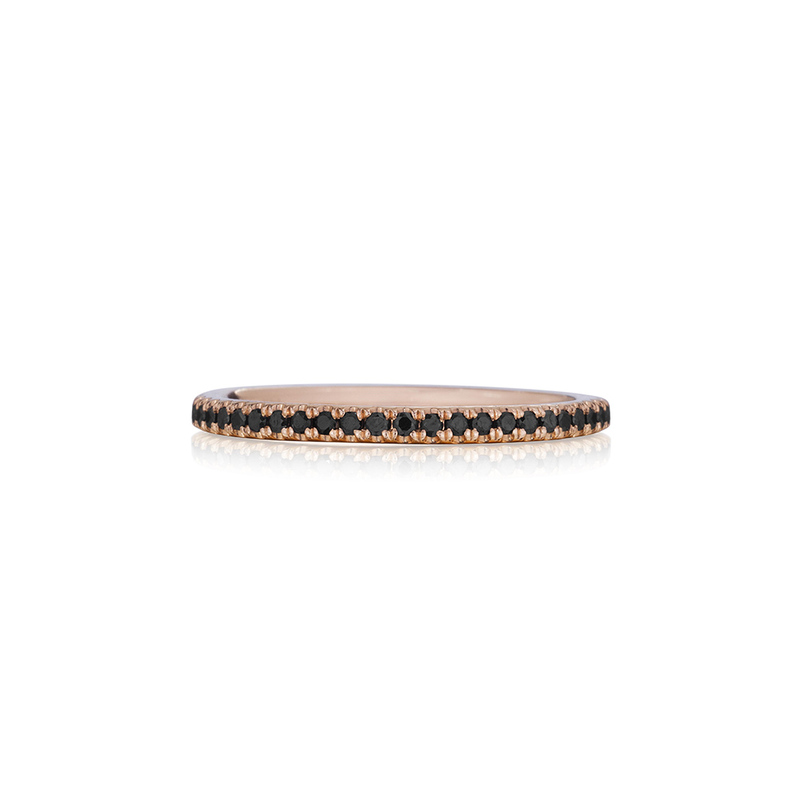 This Henri Daussi 14k rose gold eternity band features a single line of round brilliant black pav set diamonds totaling 0.30ct. The band measures 1.1mm wide. 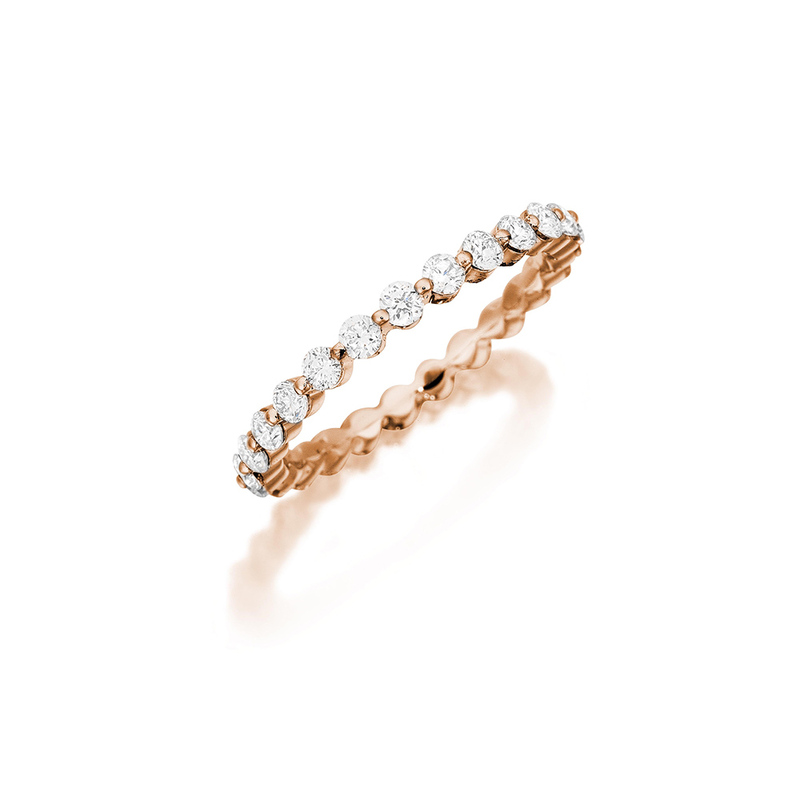 This Henri Daussi 14k rose gold eternity band features a single line of round brilliant natural fancy brown pav set diamonds totaling 0.30ct. The band measures 1.1mm wide. This Henri Daussi 14k rose gold eternity band features a single line of round brilliant pav set diamonds totaling 0.30ct. The band measures 1.1mm wide. This Henri Daussi 14k rose gold eternity band features a single line of round brilliant natural fancy light pink pav set diamonds totaling 0.30ct. The band measures 1.1mm wide. 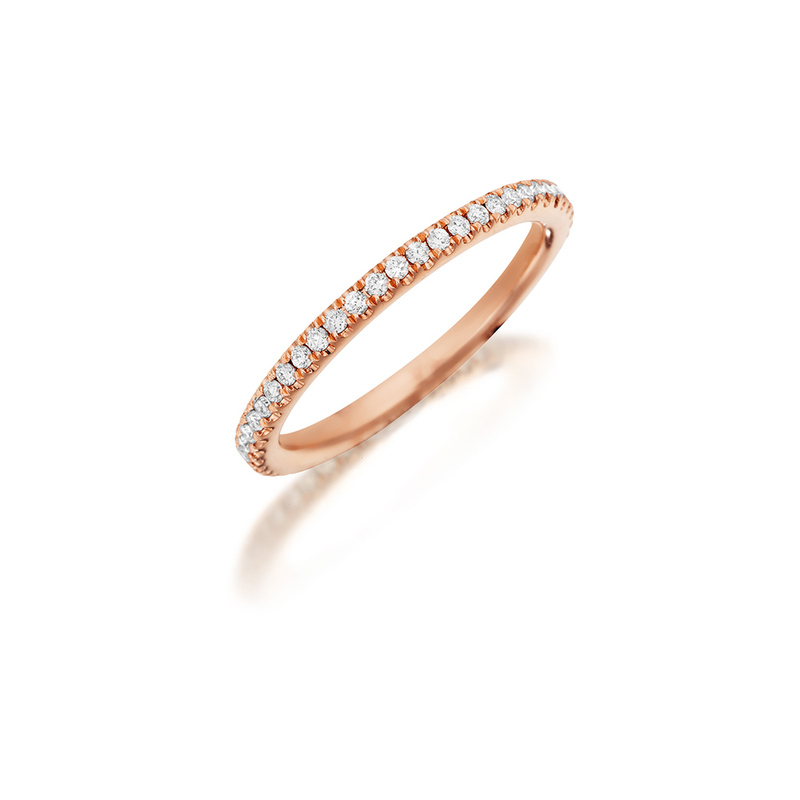 This Henri Daussi 14k rose gold eternity band features round brilliant bead set diamonds totaling 0.40ct with milgrain detail. 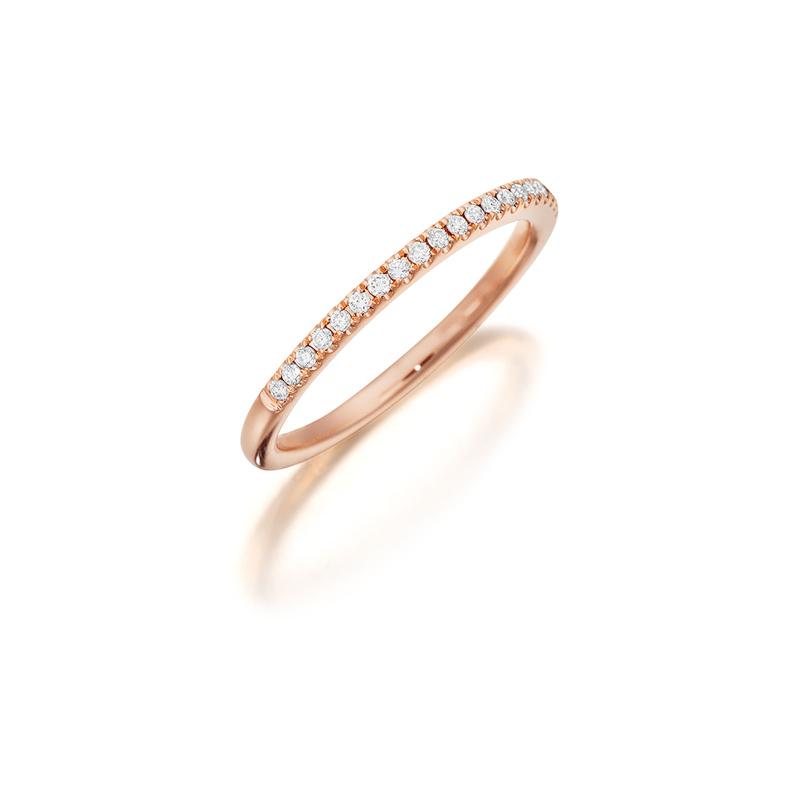 The wedding band measures 2.00mm wide. 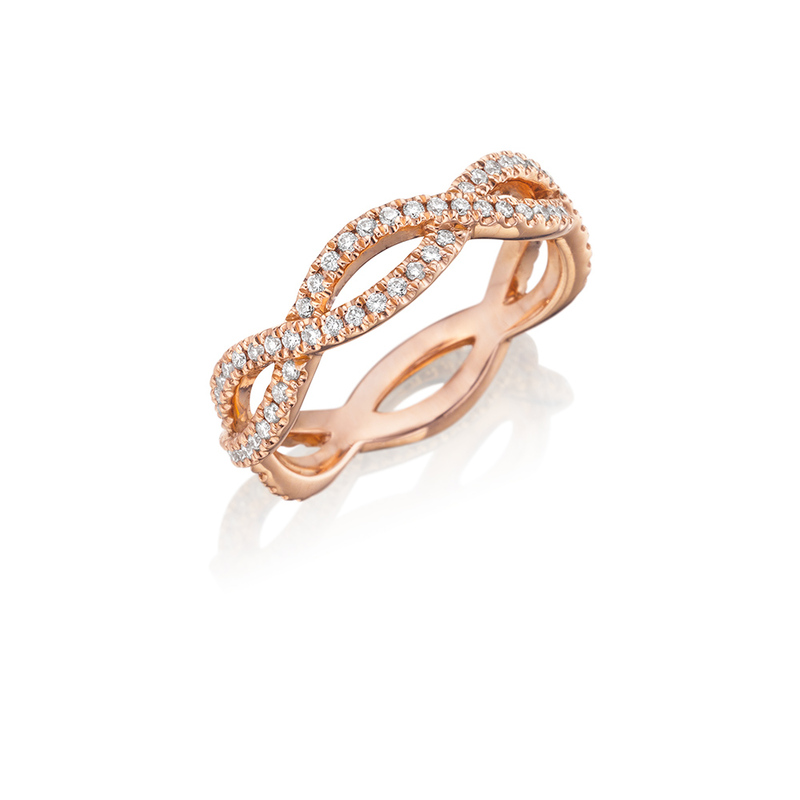 This Henri Daussi 14k rose gold twisted eternity band features round brilliant pav set diamonds totaling 0.60ct. The band measures 1.2mm wide. 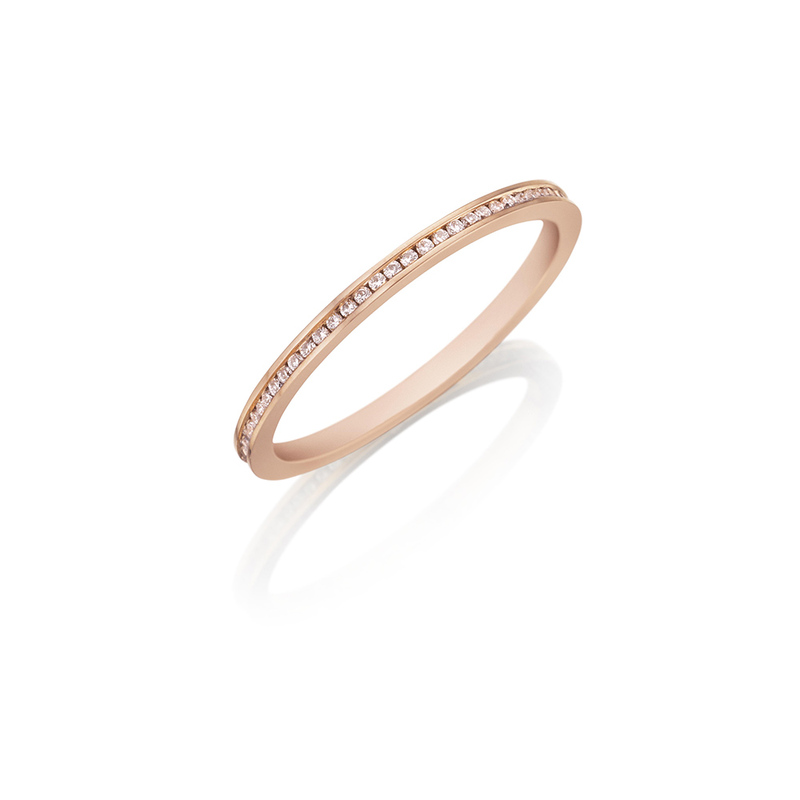 This Henri Daussi 14k rose gold eternity band features a single line of round brilliant pav set diamonds totaling 1.00ct. The band measures 2.1mm wide. 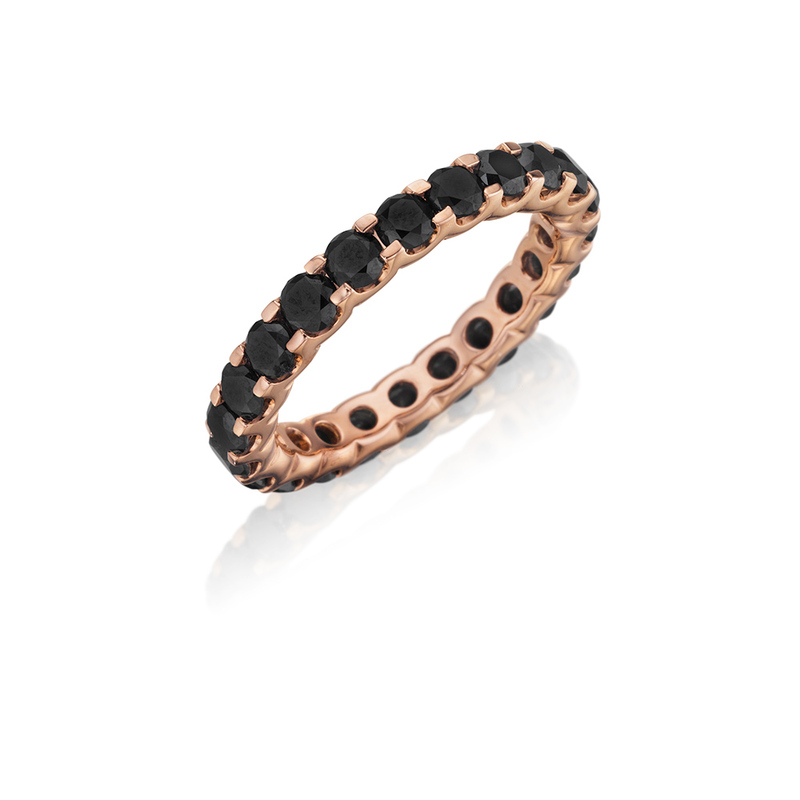 This Henri Daussi 14k rose gold eternity band features a single line of round brilliant pav set black diamonds totaling 2.00ct. The band measures 2.8mm wide. 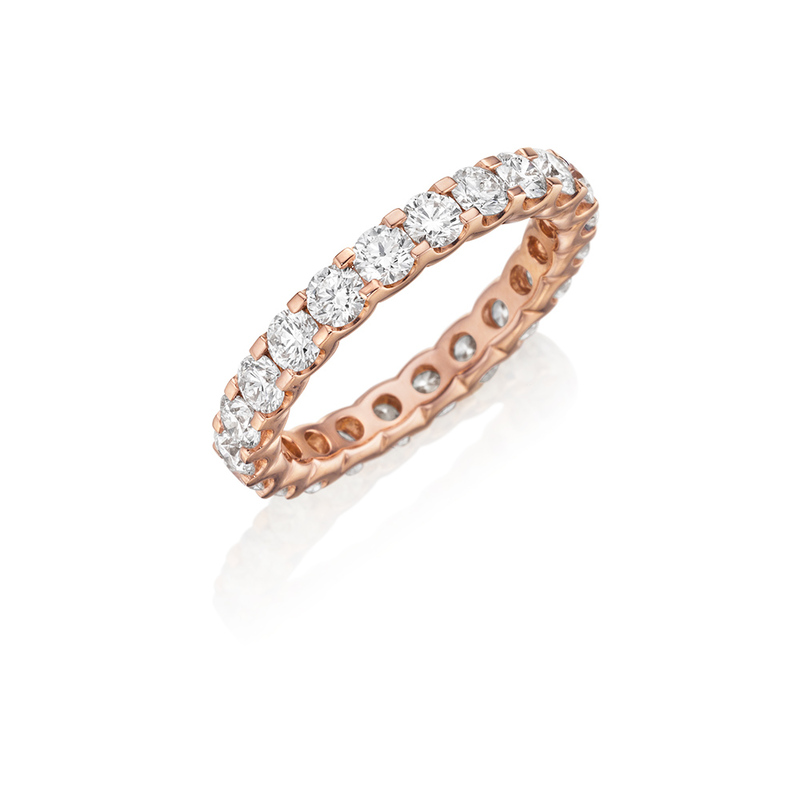 This Henri Daussi 14k rose gold eternity band features a single line of round brilliant pav set diamonds totaling 2.00ct. The band measures 2.8mm wide. 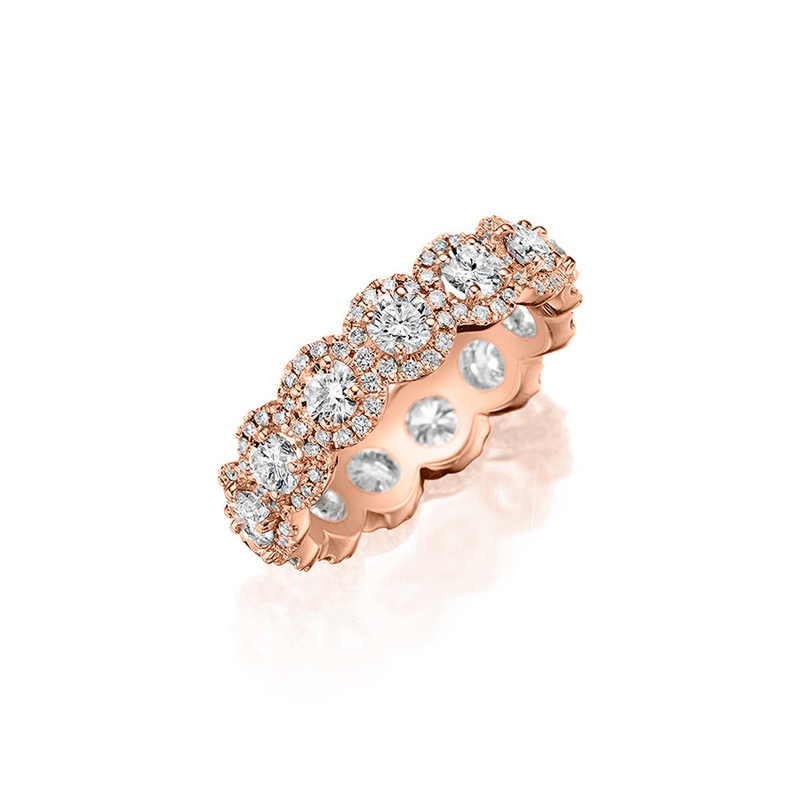 This Henri Daussi 14k rose gold eternity band features G-H color, SI quality round brilliant prong set diamonds and pave diamonds totaling approximately 2.50ct. The band measures 5.5mm wide. 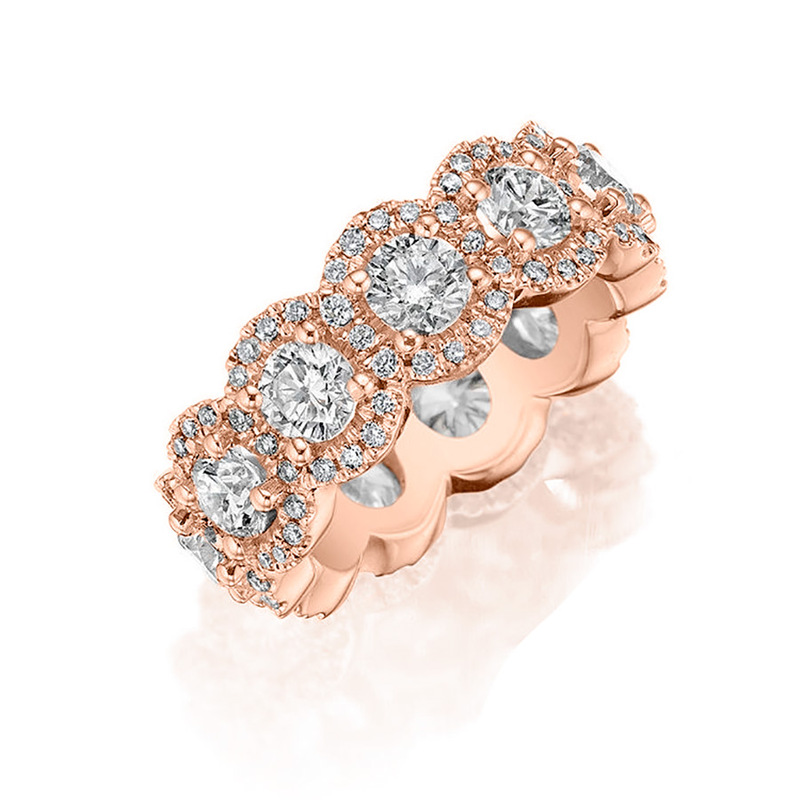 This Henri Daussi 14k rose gold eternity band features G-H color, SI quality round brilliant prong set diamonds and pave diamonds totaling approximately 3.45ct. The band measures 6.5mm wide. This Henri Daussi 14k rose gold wedding band features bead set round brilliant rose diamonds totaling 0.08ct and pink sapphires totaling 0.12ct with milgrain detail. The band measures 1.6mm wide. This Henri Daussi 14k rose gold wedding band features a delicate line of channel set round brilliant diamonds totaling 0.10ct. The band measures 1mm wide. 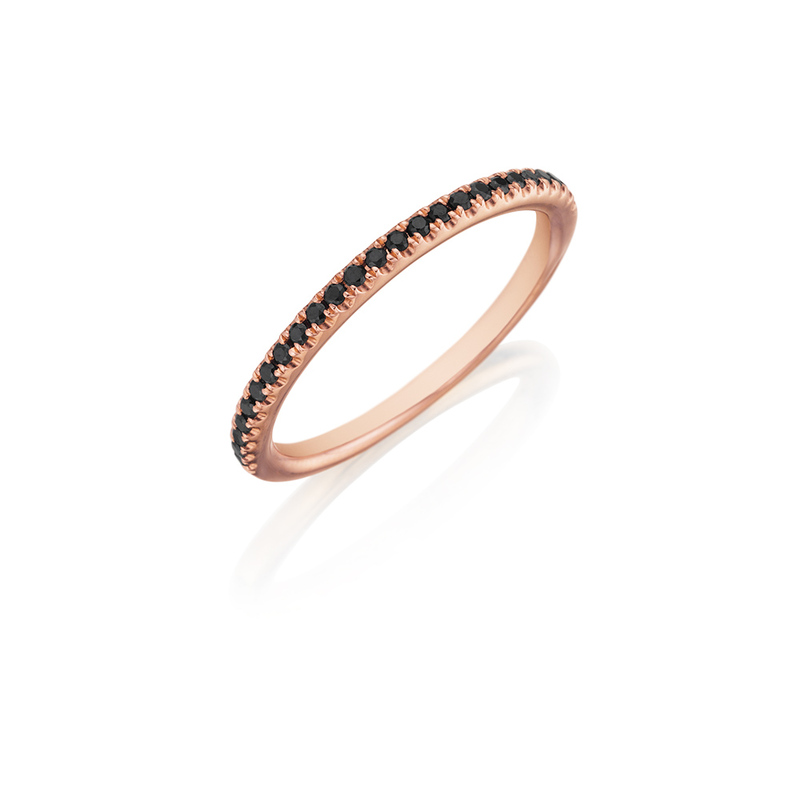 This Henri Daussi 14k rose gold wedding band features a single line of round brilliant black pav set diamonds totaling 0.15ct. The band measures 1.1mm wide. This Henri Daussi 14k rose gold wedding band features a single line of round brilliant natural fancy brown pav set diamonds totaling 0.15ct. The band measures 1.1mm wide. 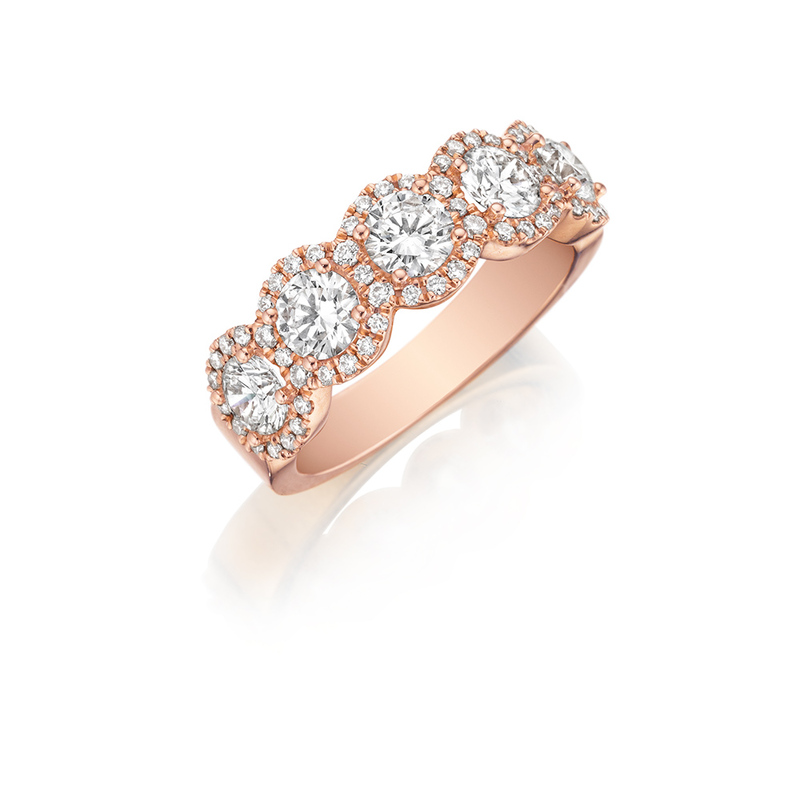 This Henri Daussi 14k rose gold wedding band features a single line of round brilliant pav set diamonds totaling 0.15ct. The band measures 1.1mm wide. This Henri Daussi 14k rose gold wedding band features a single line of round brilliant natural fancy light pink pav set diamonds totaling 0.15ct. The band measures 1.1mm wide. 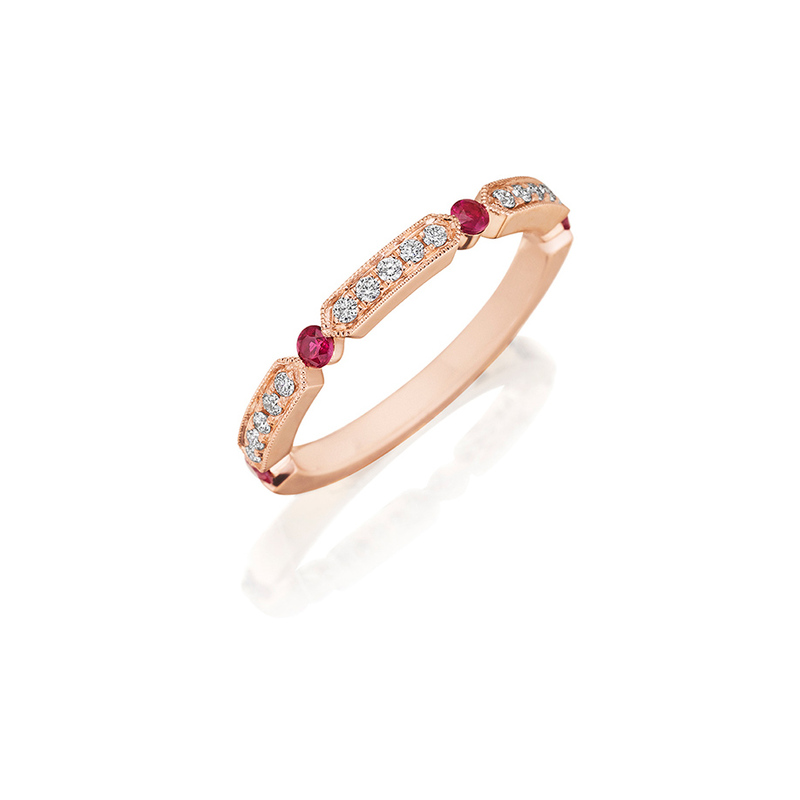 This Henri Daussi 14k rose gold wedding band features round brilliant bead set white diamonds totaling 0.11ct and rubies totaling 0.18ct with milgrain detail. 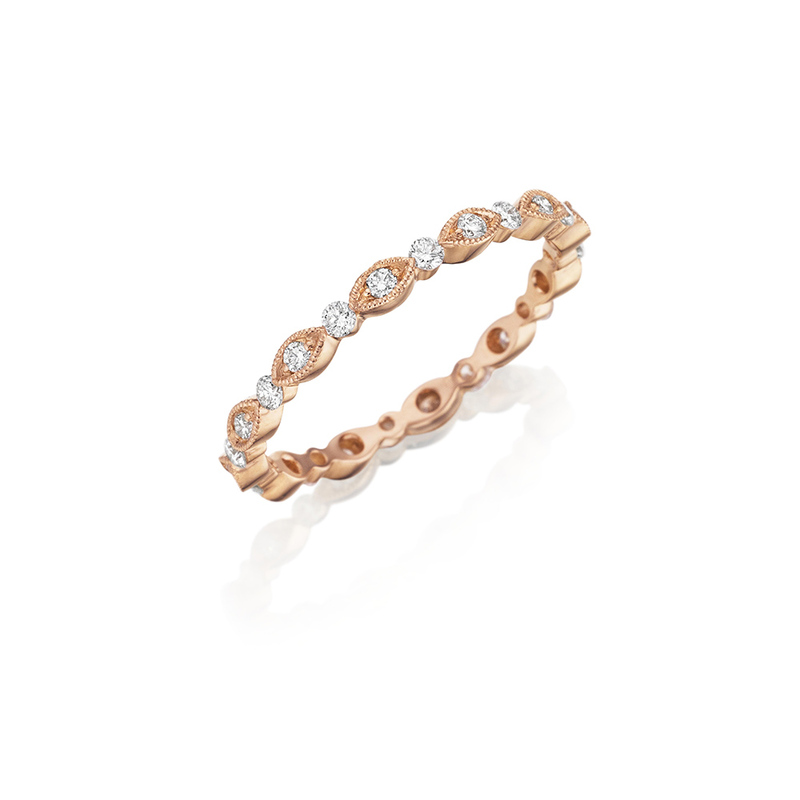 This Henri Daussi 14k rose gold wedding band features round brilliant bead set diamonds totaling 0.20ct with milgrain detail. 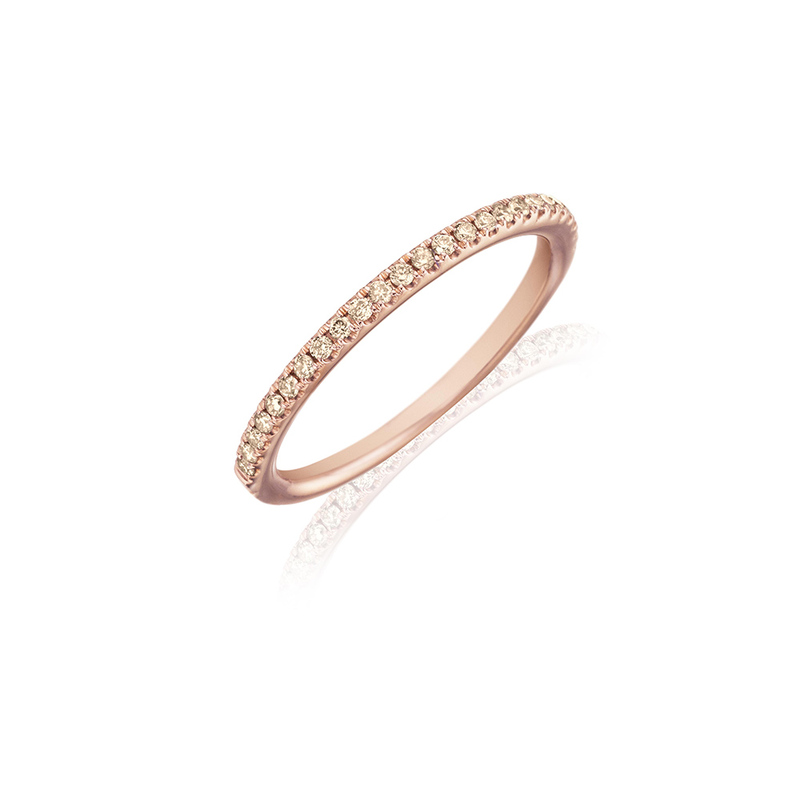 The wedding band measures 1.60mm wide.